As I have now completed (?) my Punic Wars armies, I am again faced with the “Next Project” dilemma. I sat down and evaluated what I most enjoy about the hobby, and this basically breaks down to 3 major considerations: (1) The gaming itself. I like the interaction with other players. I am not especially competitive, so I enjoy a smooth, thought provoking game where winning is a bonus, not a driving force behind my game play. I like trying new rules and finding new (to me) mechanisms that can improve either the historical simulation or the flow of a game. (2) Painting. The whole process of planning, purchasing and painting new armies and units is very rewarding and enjoyable. The time I spend on this aspect of the hobby dwarves that spent actually gaming with the toys on the table. I have even devoted some large chunks of my life to producing a beautiful army, and have yet to get to use these figures on the table! I do feel a certain guilt (?) about this, especially considering the money locked away in my ‘unused’ toys, but the pleasure the process gives me makes the whole thing worthwhile. (3) History. Wargaming encourages me to read and research the periods I am aiming to model and game. As a result, I think my knowledge of British and Western European history is pretty good. As the geographic net spreads out, my depth of knowledge reduces. The purchase of Ottoman and Hungarian armies allowed me to explore the some of the history of Eastern Europe and characters like Janos Hunyadi. My Samurai armies gave me an insight into Japanese history (and geography), and I would love to visit Japan to see the places myself. I am aware of huge gaps in my historical knowledge base. I know little about the history of the Indian sub-continent, and nothing of pre-colonial sub-Saharan African history. The one gap I am most aware of is China. I don’t know when the Ming or Tang dynasties were, and how different periods of Chinese history relate to each other. I am very ignorant about the geography of China; there are major cities whose location I could not place on a map. The locations of mountains, rivers, deserts, flood-plains, forests, jungles etc., are a mystery to me. So, for my next project I am going to build up a Han Chinese army and immerse myself in all things Chinese. Why choose the Han dynasty? Well, Lancashire Games produce a number of battlepacks for this period, which is both convenient and cheap. So for only ~£100 I now have enough figures to put together ~800 points for Impetus (using a beta-list Han Chinese list on their website). Also, as I’ve since found out, the Han dynasty was concurrent with the rise of the Romans, so offers an interesting comparison. Additionally in my attic I found an old second-hand Warhammer Ancients book on this period of Chinese history (part of a job-lot bought years ago) called Art of War, which provides a nice guide to painting etc. I’m set to go, but I am aware that a Games Workshop booklet is not the best foundation for my project, so I would welcome any advice from readers out there. Finally, I missed Salute this year. I was all set to go until a bug struck me down on the Friday. Typically I’m fine now, but disappointed to miss the show which marks the start of the wargaming year for me. It was Ian’s turn to arrange a game and provide the troops. We used his Early Macedonian Successors versus Later Greek Hoplites, in a game of Sword & Spear. I played the Greeks whilst Ian took the smaller, more professional Macedonians. I was slightly worried because I hate fighting pikes and/or elephants; I never know how to tackle these troop types. The battlefield was fairly open and Ian narrowed the frontage by placing a river on my left flank. I was out-scouted so had to deploy first, and I opted for a fairly conventional approach; hoplite centre with light troops out front, and cavalry and peltasts on the flanks. Ian had a pike juggernaut with elephants in the centre and a strong cavalry flank force facing my right. The game proved to be a very close fought, tight affair. My hoplite centre remained stationary to avoid early contact with Ian’s pikes. My skirmishers won the conflict with their opposing skirmishers. On my right flank, my peltasts gained the high ground and held off Ian’s cavalry and a unit of my light cavalry actually managed to attack the Macedonian Companions in the rear (they died in the attempt!). The Companions then tried to smash my peltasts and, due to some poor dice rolling, the cream of the Macedonians were eliminated. On the opposite left flank, my undrilled hoplites did manage to advance, turn and threaten the enemy pikes, but were held off by some more Macedonian cavalry. The fact these cavalry were tied down, allowed another unit of Greek light cavalry to move around the left flank and attack the Macedonian camp. Meanwhile in the centre the Macedonian leviathan trudged on. The elephants squashed some Greek skirmishers and pursued into my Greek heavy cavalry, who also died. Then the pike blocks hit home. One unit of hoplites died, but the others just about held on. My single unit of Spartan hoplites plugged the gap and took out Ian’s elephants (hooray!). On the left, I did manage to engage one pike block in the flank with some hoplites, but they could not push home their advantage. start to swing around on the left flank. Both armies were now within a single point of breaking, but time was pressing on and I had commitments in the evening, so I offered Ian an honourable draw, which he accepted. I think this was a fair result, but on the drive home I wondered if I had done the right thing? If another turn had been played, I could not envisage Ian destroying another of my units, whereas I still could destroy his camp with my light cavalry (only 1 more hit required). But, if I had failed then further play would have seen my forces in trouble against Ian’s pikes; so maybe I did make the right decision. This was one of most enjoyable games of Sword and Spear we have played. It was close, competitive and required careful thought by both players. Neither side was too plagued by bad dice, so the luck element was not a major factor. I have done it! My Punic Wars armies are complete as far as figure painting is concerned. First I finished the 4 units of Gallic cavalry (more stripes etc. ), then a few Roman velites, next assorted generals, and finally 2 excellent Xyston elephants. Ahead lies a few weeks of intensive basing before the armies can finally take to the table. I have still to buy some base camps (which can wait until Salute) and some slingers would be nice. This game was a bit of a spur-of-the-moment affair, Ian and I were available but had not planned a particular game. So, I suggested Saga using my Teutonic forces, but on the day I opted to use my Vikings and Anglo-Danish forces instead. Neither of us are fully familiar with the new version of Saga nor with the characteristics of the armies, so we were both winging-it a bit. This week I did receive my copy of ‘Saga Book of Battles’ but had yet to read it, so we played the standard scenario from the main rule book. Ian took the Vikings and I played the Anglo-Danish. Rather than describe the skirmish in detail, I will simply pick the highlights as I saw them. Ian could not throw any Y-symbols on his Saga dice for the whole game (! ), which prevented him expanding his dice pool. He mainly utilised the ‘Ullr’ and ‘Loki’ characteristics of the Vikings, which are pretty strong. At a couple of points in the game his dice rolling let him down (a common feature of Saga games), especially when his 4-figure Berserker unit charged and bounced off one of my warrior units. I tried using a wider range of Anglo-Danish characteristics; I particularly liked the ‘Crush the Weak’ ability to annihilate Ian’s Levy missile unit. Most of my efforts were spreading fatigue on key Viking units. Neither of use risked our Warlords in the game, instead using them for their ‘We Obey’ ability. After 6 turns we totted-up the Massacre Points and my Anglo-Danes led 17 v 14, which gave me the win (just!). We both enjoyed the game and played at a good pace. I look forward to future games using scenarios provided in the Battle Book. For me Saga remains a nice pick-up style game that requires little forward planning. I have painted the horde of Celtic warriors that I have been dreading. Friends have asked why I dislike painting the Gauls? Firstly, both their shields and fabrics are multicoloured with a variety of stripes, cheques, plaids and borders; a real pain to paint. Secondly, based on my experience of Lancashire Games Spanish foot, the range of figure poses and variants may be limited. I discounted the second reason immediately I opened the package; there were at least 12 different figure sculpts and Lancashire Games supplied 80 figures instead of the expected 60! I was well chuffed! Painting did prove a strain. I decided to paint them as a single batch and by halfway I was regretting the decision. Once completed, I think I am happy with their appearance and would highly recommend others to consider Lancashire Games if interested in building a Gallic army. The end is in sight for my Punic War armies. Next a batch of Gallic cavalry, then Generals and elephants! I have been struck down for a week with man-flu, so it took longer than expected to complete my Italian allied forces for the Roman Punic war army. I have completed 4 units if light-medium (FL) foot, 1 unit of heavy foot, and 2 units of cavalry. I wanted the Italians to look similar but different to my more regular Roman troops. I painted the plumes and shields in uniform colours within each unit, but did introduce some patterning on the shields and varied the tunic colours. I also did not use a maniple style of basing, and I added a couple of velite figures to the bases to distinguish the light-medium foot from the heavies. Next up are the hordes of Celtic warriors. I have been dreading these, but they can no longer be ignored! Our small group met at a neutral venue, Thirsty Meeples in Oxford, for a change. This would enable us to try some games we currently don’t possess but are of interest to us. 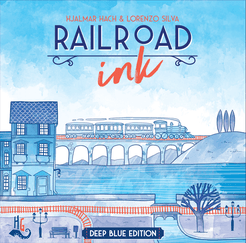 We started with a small ‘Roll’n’Write’ game called Railroad Ink. In this game players are trying to utilise common dice rolls to form the ‘best’ rail and road networks over 7 rounds. This more of a puzzle game rather than a competitive game; you are focussed solely on your own developing map and only at the end are the relative scores worked out. I enjoyed the puzzle aspect, but the theme and game play did not grab my interest, so I was not enthusiastic about playing a second game. I think both Elaine and I did score highly (which is surprising for this type of game) but for me the game was forgettable. 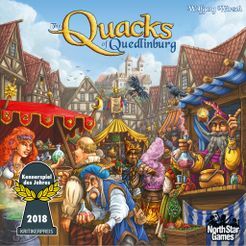 Next we tried Quacks of Quedlinburg, a game that has received much praise and nominations for various gaming awards. This is a bag-building, push-your-luck game in which players are medieval alchemists concocting potions. The more varied and developed the potion, the more it scores in victory points and the more money earned. The problem lies in the pesky white berries, which if present in too high amount causes the potion to explode, thereby losing the player either the money or victory points for the turn! So, do you dip into your bag again and risk disaster? Everyone seemed to pick up the rules quickly, and as more ingredients are bought, the better scoring potions result. I really like the way the different ingredients give different benefits, and the ‘rats-tails’ provide a nice catch-up mechanism to keep all players in contention. I also like the variations for the ingredients which can improve game replayability. The game looks good and is one of the better push-your-luck games I have played, the simultaneous drawing of chits from the bags speeds play considerably. Elaine was the winner of our game. Overall this game was a hit with us, and Val/Chris would have bought a copy immediately except Thirsty Meeples were out of stock. We only had 45 minutes of gaming time left, so we finished with a game we know well and which is always fun to play, Roll for the Galaxy. Finally I would like to thank Thirsty Meeples for continuing to provide a nice environment for gamers in the Oxford area.